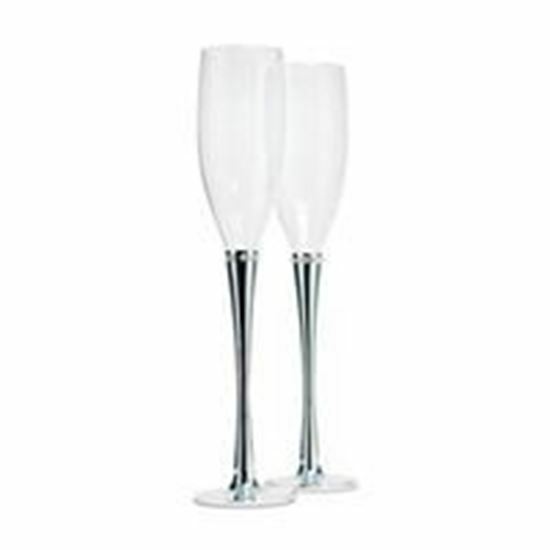 These classic flutes are stunning in their simplicity. Contrasting glass tops and silver plated stems create beautiful symmetry. The glass tops are fully engraveable, allowing you to personalize.